In 1952, at the anniversary of 80 years since the establishment of the first railway, Hikaru Kobayashi donated to Tokyo JR Hamamatsucho Station a replica of the famous statue Manneken Pis. The original replica, made of porcelain, was replaced 16 years later with one made of bronze, which is today displayed on the platform for the lines 3 and 4, at the end towards Tamachi Station. Manneken Pis became the station mascot, and today it is very popular both with travelers and with the station’s staff, who are dressing the statue according to various events. 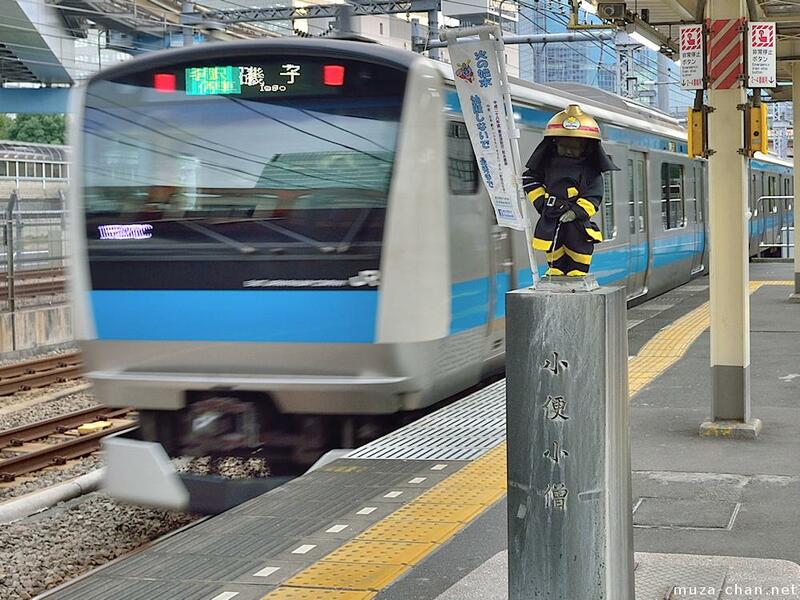 I photographed it last autumn dressed as fireman, on the occasion of a fire prevention campaign run by the Tokyo Shiba Fire Department.